IZMIR, TURKEY (ANS – Oct. 12, 2018) — A Turkish court has today (October 12) ruled to release Pastor Andrew Brunson. Brunson, who has been in Turkish custody since October 2016, will now be able to leave his home—where he’s been under house arrest for several months—and return to the United States. The ruling technically sentenced Brunson to three years in prison, but the lifting of the ban on his travel effectively means he has been freed. Open Doors USA said the ordeal for Brunson has been long and difficult. He was accused of aiding in a failed coup attempt against Turkish leader Recep Tayyip Erdoğan, charges he has steadily denied. Reports from earlier this year suggested his health had deteriorated after he spent time in a “nightmare prison” within Turkey. Open Doors stated Brunson’s imprisonment sparked a diplomatic conflict between the United States and Turkey, with Vice President Pence, Secretary of State Mike Pompeo and President Trump’s Twitter account all calling for Brunson’s release, while Erdoğan insisted on a prisoner exchange. Yesterday, NBC News reported there was a secret deal to grant the release of Brunson. The details of that deal remain unclear, but some observers assume Brunson’s release will come with an easing of economic sanctions on Turkey, which has been in the midst of an economic crisis. In a statement, Open Doors USA CEO David Curry said: “Open Doors USA is relieved to hear of Pastor Andrew Brunson’s release from house arrest to freedom. Turkey has done the right thing in allowing him to return to his home country. I applaud President Trump for the unrelenting pressure his administration applied to Turkey on this matter, in part through tariffs and sanctions. The president has rightly recognized that economic leverage can help bring positive change for human rights and can convey a powerful message of solidarity with oppressed religious minorities, especially persecuted Christians. 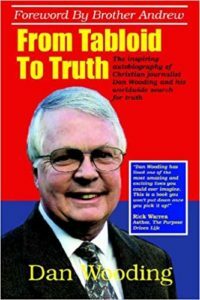 In this case, it worked and was helpful in the release of an American Christian. International Christian Concern (ICC) also stated Turkish courts released American pastor Andrew Brunson from house arrest and that he is due to fly home this weekend. Pastor Brunson seen here in this earlier photo before a court hearing. In court on Friday, Brunson was convicted of a “terror” charge, but as a result of the time previously served and good behavior, has been released from house arrest and his travel ban has been lifted. This will allow him to return to the United States. ICC reported Pastor Brunson has ministered in Turkey since 1993 and was originally detained with his wife Norine in October 2016. While his wife was released shortly thereafter, Pastor Brunson remained imprisoned despite a lack of formal charges. The first series of charges was brought 63 days into his imprisonment, and other charges continued to be added as time progressed. Pastor Brunson faced charges of having links to terrorist organizations, an increasingly common accusation in Turkey against any individual or group that the government is looking to target. If Pastor Brunson had not been released today, he could have faced up to 35 years in a Turkish prison. 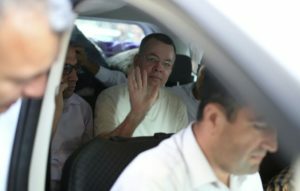 Since Brunson’s arrest, tensions have been high between Turkey and the United States as negotiations were made on Pastor Brunson’s behalf. In August of 2018, the United States imposed sanctions on two Turkish cabinet members, seeking to pressure the Turkish government to release Pastor Brunson. The Turkish government is hopeful that his release will help solve the diplomatic disputes between the United States and Turkey. Religious freedom in Turkey has significantly deteriorated since the 2016 military coup. Turkey is currently listed as a Tier 2 Country on the United States Commission on International Religious Freedom’s (USCIRF) annual report. Rep. Chris Smith (R-NJ) said, “I am overjoyed that Pastor Andrew Brunson is finally free from his cruel and unjust imprisonment and house arrest, and is coming home safely to the US. For almost two years he was the victim of efforts by President Erdogan and the Turkish state to crack down on religious freedom as he languished in prison—and was then transferred to house arrest in July—on absurd charges of espionage and supporting a terrorist group, while his family suffered enormously. The American pastor’s arrest brought two NATO allies face to face in a major geopolitical confrontation over the fate and future of this evangelical minister. Pastor Brunson’s ordeal mobilized Christians around the world. 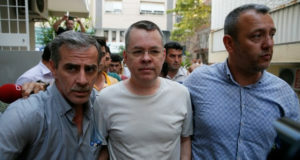 “Hundreds of thousands of people have been praying for Pastor Brunson, not just in the United States but around the world,” said evangelical Pastor William Devlin from New York City. “Our administration has made very clear that we will continue to stand strong until Pastor Andrew Brunson is free and back home in the United States with his family and with his church,” Pence said. “I believe this is really a call to prayer, not only for Andrew, but for the Turkish and Kurdish and Arab and Syrian and Iraqi and Iranian people all living very close because it’s clear that Andrew Brunson is in prison or under arrest for one reason and that’s his hope and faith in Jesus Christ as the Messiah, not only of the West, but of the entire world,” he said right before Brunson’s release.